Yes, I'm super happy with this travel tote. The external material is tough waterproof nylon with leather trimmings. Just run your hands across it. You won't be able to stop; it just feels so nice. If you're looking for a VERY NICE Christmas present for someone who loves photography and style, you can't go too wrong with an Aide de Camp bag. A lot of people have bought them for daily use as well. Some of the bigger bags are great for parents who need to carry lots of things for the kids. See? You can bring the bag out for any occasion. And then we went across the pond to the US. It travels really well. 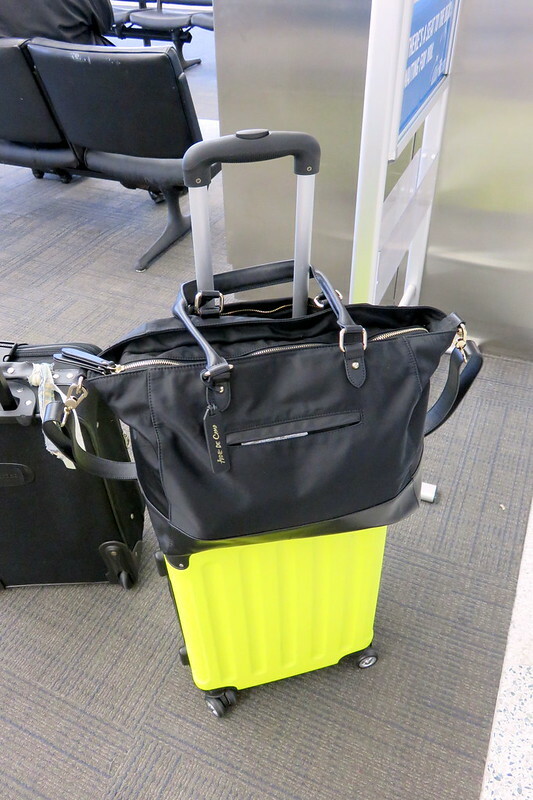 I love that it has a back flap that you can slip over your luggage handle. 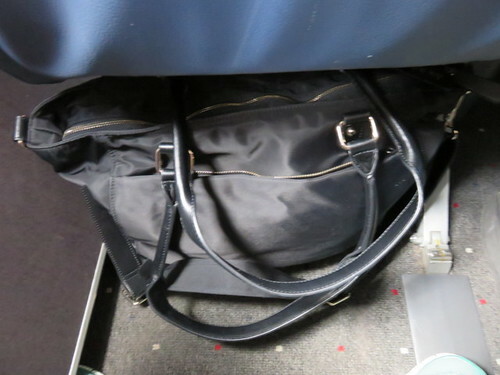 The size is also a perfect fit below most airline seats. 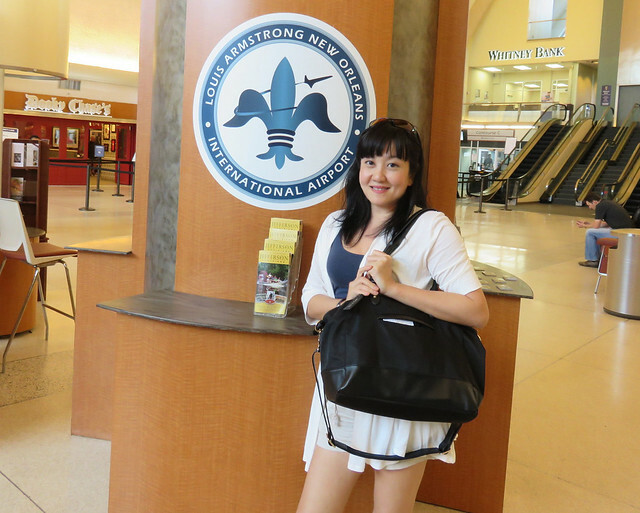 This bag has been halfway round the planet and back...and more! Living up to its name as trusted personal assistant! 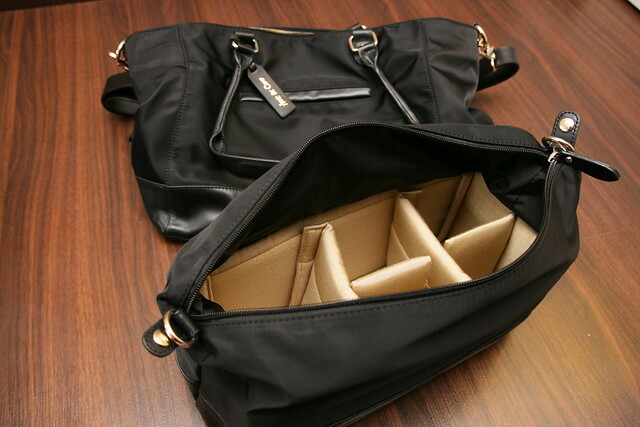 You can fit quite a lot of stuff in the bag, and there are lots of inner compartments to help you organize and get what you need in a jiffy. 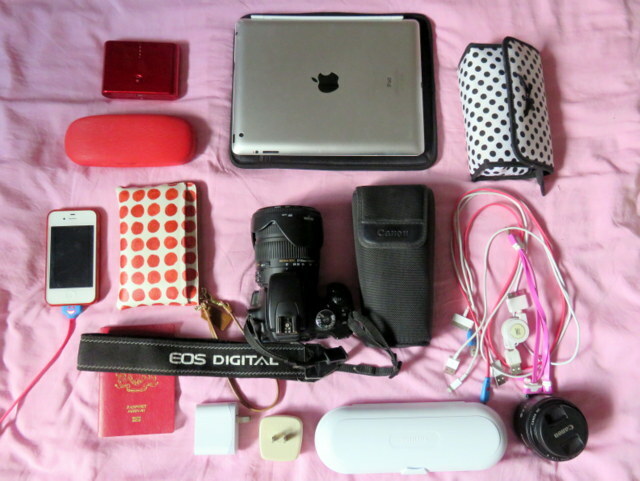 Apart from my camera equipment (my basic DSLR, two lenses, one external flash) I choose the most essential items that I will need on any flight. And Nadine has found creative ways to play with the inner camera padding box. Once again, take a look at the video which does a great job of summarising the features. 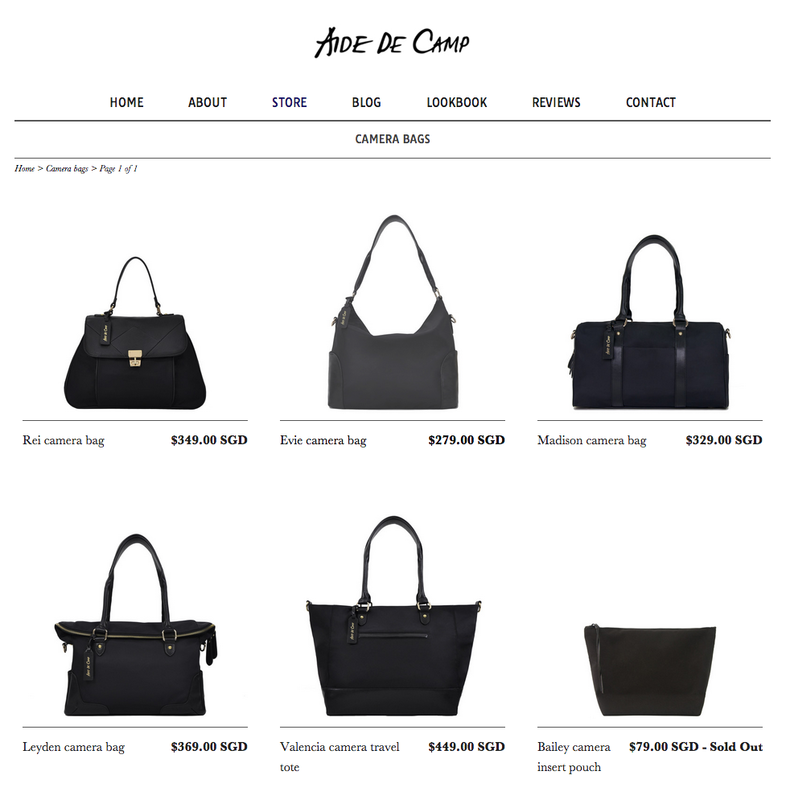 Aide de Camp has several bag models. I know mine will last quite a long time, but I'm already eyeing some others to add to my collection. Thanks to Aide de Camp founder Michele Ng for the Valencia tote, and for putting your design skills to benefit us!